The breakfast cereal category’s problems show no signs of going away. With the exception of a few speciality brands, it is a category that is increasingly “off trend”, asserts New Nutrition Business. Most big breakfast cereal brands are on the wrong side of several trends – sugar, protein-at-breakfast and good carbs/bad carbs – not to mention people’s desire for products that are “less processed” and more convenient. 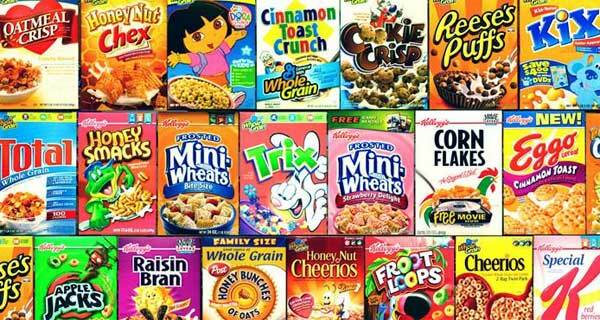 It is therefore not surprising that IRI supermarket sales data show a 2.26% decline in America’s $8.59-billion (€7.28-billion) breakfast cereal business in the year to November 2017, with market leaders all losing sales. Kellogg suffered most, with sales down 3.87% by value and 4% by volume. Many brands with a health and wellness position did not do well. General Mills 2.25% decline in its business primarily reflects a decline of 2% in the company’s biggest brand, Honey Nut Cheerios. Naturally, senior executives are upbeat about their plans to reverse the decline. John A Bryant, executive chairman of Kellogg, was reported as saying, during a conference call to discuss the company’s financial results, that “we haven’t brought enough excitement to the category this year”. His view – that what the category lacks is “excitement” and innovation – was echoed by executives of other companies. Senior managers often believe that any problem brand can be turned round, that new product development wizardry, new pack designs and brand repositioning can reverse any sales downturn. As recently as 10 years ago, that all made sense. But it doesn’t any more. Cereal is in competition at breakfast with eggs, pastries, cookies, coffee, cafes and countless alternatives that appeal to consumers who are endlessly questing for products that provide convenience, match their ever-shifting health beliefs and deliver new and interesting taste experiences. Breakfast cereal is a long slow path of decline that a host of new product launches and taste varieties is serving only to make less brutal than it would otherwise be.